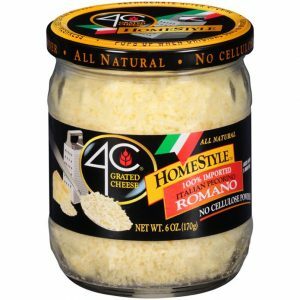 Nothing’s better than the robust taste of 4C HomeStyle Pecorino Romano Cheese. Not only can we boast 100% Cheese (no additives, no preservatives, no cellulose, no fillers), but we’re 100% Imported and 100% delicious!! The perfect accent to any recipe!! Aged over 5 months. 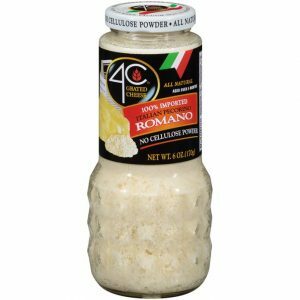 Nothing’s better than the robust taste of 4C Grated Pecorino Romano Cheese. 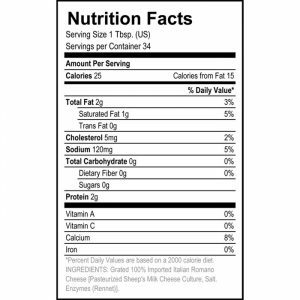 Not only can we boast 100% Cheese (no additives, no preservatives, no cellulose, no fillers), but we’re 100% Imported and 100% delicious!! The perfect accent to any recipe!! Aged over 5 months.